 We are the creative force behind the U.S. Pond Hockey Championships. A labor of love, the tournament began as one of Fred Haberman’s wild ideas and grew into a bona fide spectacle, bringing hockey lovers from across the country to play on a frozen lake in Minneapolis. The first year nearly 120 teams and tens of thousands of spectators attended. By its third and fourth years, the number of teams doubled and crowds swelled. Fourteen years later and bigger than eve—still going strong—it’s a national event and a beloved tradition.